Lock in a great price for Zee van Tijd – rated 9.2 by recent guests! I really liked the interior design and details at this place! Also the rooms, it's not your standard boring grey/white/blue hotel room. Great service/staff and lovely location in the centre of town. Breakfast was amazing and we enjoyed a beautiful lunch as well. 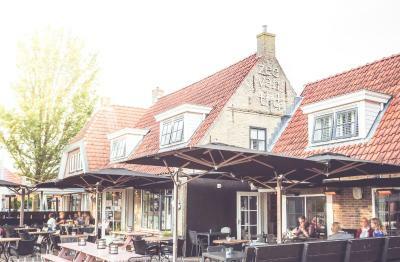 The location of the property was great for us, Ameland is only a very small island but this location was fine for us ! Nice hotel, clean, good location, friendly staff very good breakfast and restaurant is also OK, overall a very enjoyable stay. Nice interior with stylish decorations. Clean and neat room, well-equipped. Very friendly staff that helped to bring my baggage upstairs and advised bike rental service close to the hotel. Restaurant downstairs is one of the best in Nes. Mastercard was accepted for payment (which is not a 100% case on Ameland). Excellent breakfast, spacious and clean room with independent entrance (no need to walk past reception/lobby). Situated in a nice street in the center of a lovely village. Thoroughly enjoyed staying here. A very lovely place and fantastic food. Would definitely return. A beautiful room (deluxe suite) in a perfect location to explore the island. Very friendly and helpful staff. Highly recommendable. Perfect location for our long weekend stay. Service, room, breakfast, diner: all excellent, very nice and delicious. We will be back soon! Zee van Tijd offers charming suites, set in this monumental building in the calm village of Nes. It has free Wi-Fi available throughout the building and a bicycle rental service next door. Each suite is brightly colored and comes with a flat-screen TV, Nespresso machine and luxury bedding. It has modern bathroom facilities that come with a rain shower, hairdryer and free toiletries. Zee van Tijd’s restaurant offers a wide range of fish, meat and vegetarian specialties for lunch and dinner. Every morning, a continental breakfast is served in the restaurant or the terrace in warmer weather. In addition, guests can make free use of the restaurant's tea/coffee making facilities until 12:00. The historic village of Nes is just around the corner from the hotel. Both Amelands beach and ferry service are within 1.2 mi of Zee Van Tijd. This property also has one of the top-rated locations in Nes! Guests are happier about it compared to other properties in the area. 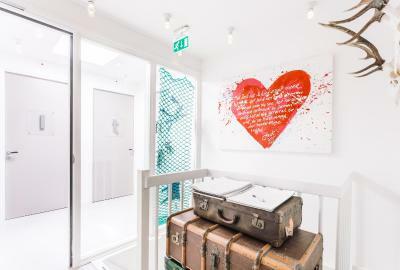 When would you like to stay at Zee van Tijd? This lightly-decorated suite includes a modern bathroom with a walk-in shower. This spacious suite includes a bathroom with a rain-shower and large bath. This large suite with a seating area and an open-plan bathroom with bath tub. This compact room includes flat-screen TV, a refrigerator and tea and coffee making facilities. It also has a bathroom with a rain shower. This suite features a private entrance, soundproofing and cable TV. 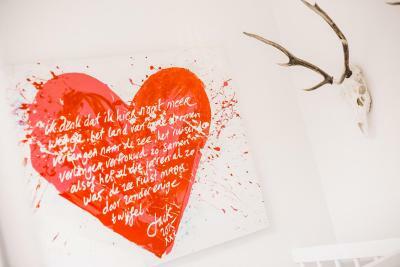 House Rules Zee van Tijd takes special requests – add in the next step! ATM card Debit card Zee van Tijd accepts these cards and reserves the right to temporarily hold an amount prior to arrival. Zee van Tijd accepts these cards and reserves the right to temporarily hold an amount prior to arrival. Please note that guests who wish to dine at the restaurant are strongly advised to make a reservation in advance as the restaurant has limited capacity and can be very busy during peak times. Please note that Zee van Tijd does not have a hotel lobby. The restaurant serves as a hotel lobby and bar once the dinner guests have left the restaurant. I can't find any and actually I don't want to. This was a great stay. The bathroom situation could be a bit more private for me...with the glass/see through doors, you can't lock the toilet and when someone is on the toilet you're practically in the same space. So you can hear everything. Not very comfortable. Smell in the room from the plumbing, sometimes very bad, sometimes gone??? Bus stop location requires some walking. all was fine - great staff! Beautiful and clean room, nice staff.